The 2019 West Virginia Grand Bash will be held from 1-7 p.m. on Saturday, March 30, at the Ruby Community Center at Mylan Park in Morgantown. The Grand Bash is an annual event that benefits WVU Medicine Children’s and new partner organizations Operation Welcome Home, a non-profit organization that has helped more than 475 veterans secure full-time employment; The Hoss Foundation, a non-profit supporting the Hostetler Family Resource Center at WVU Medicine Children’s; and Mission for Miracles, a non-profit that supports those dealing with neurological conditions. Around 100 prize drawings will be held during the event. Prizes include a Ford F-150 Raptor, Yamaha VX Deluxe Wave Runner, diamond earrings from Joyce’s Jewelry, a 2019 Chevrolet Corvette, a Disney trip for a family of four, a 2019 Harley-Davidson Fat Boy, a Jim Shockey black bear hunting trip, a European river cruise for two, cash prizes, and many more. One ticket holder will walk away with the grand prize of $100,000. Tickets are $100 each, and only 10,000 tickets are available. Each ticket holder is allowed to bring one guest per ticket held. Guest admission is $20 and is to be paid in cash at the gate upon entry. Doors open at 11 a.m. The drawings start at 1 p.m. leading up to the grand prize drawing at 7 p.m. Tickets will be drawn every five minutes with the exception of an intermission at 4 p.m. Ticket holders need not be present to win. Tickets are available now both online and at retail outlets throughout Pennsylvania and West Virginia. To purchase tickets and for additional information, call 304-292-5081. 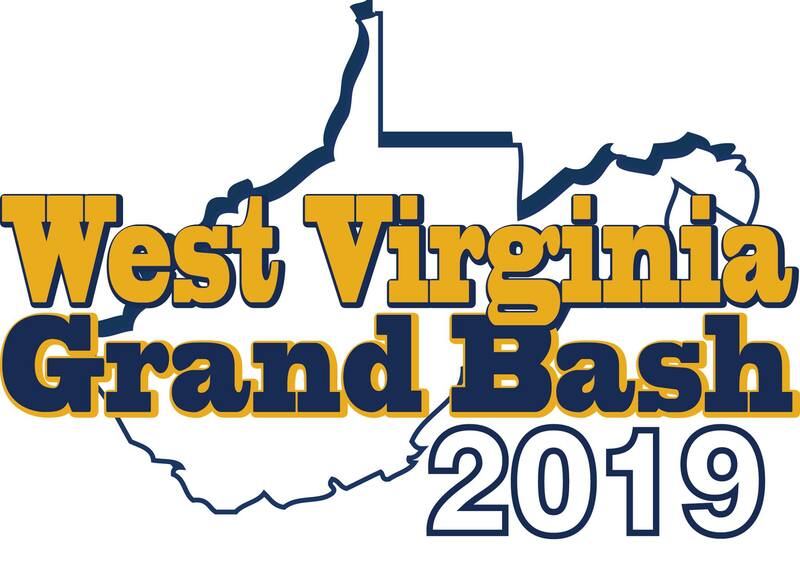 Information on ticket outlets, registration, rules, and a complete list of prizes for the event can be found online at www.wvgrandbash.com.